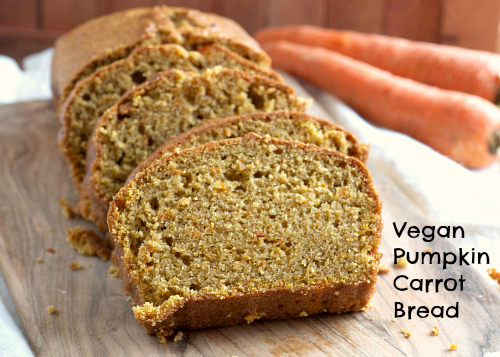 This fluffy, soft and nutrient-rich vegan pumpkin carrot bread is the perfect snack to enjoy with your favorite cup of coffee! Want to see a glimpse into my life lately? Well, not quite as bad as that, but I’m still living amongst all the boxes. We’ve powered through and unpacked ALMOST all of them, but there are still about 100 hanging out, taunting me as I sit here writing. I hate clutter. I hate mess. I’m a little OCD when it comes to my surroundings, so living in piles of disarray is making me twitch. On the plus side though, I love our new place. It’s so light, open and quiet. We have a gorgeous view and a patio, which is something we’ve never had. 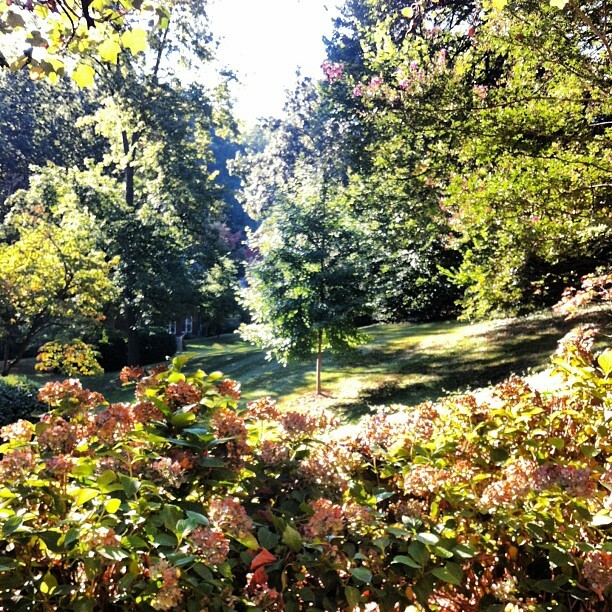 I seriously can’t tell you how much I love sitting on the patio, sipping my coffee while the morning sun beats down on me. It’s literally night and day from how we were living at the apartment. Another plus of finally having a solid place to call home is the excitement that comes with unpacking the boxes we had in our storage unit. With every box we pry open, we’re finding pieces of our old life that we missed desperately in those 3 months at the apartment. Framed wedding photos, my favorite dishes, our beloved juicer. Plus, boxes and boxes of clothes I thought were lost in the fire surprise me with each rip and tear of packing tape. It’s like Christmas morning, but better. Each box contains a piece of me I thought I’d never get back, a memory I thought was lost in the flames of June 1st. Things may be a little quiet as I continue to unpack and finish my book, but I couldn’t leave you hanging this week knowing I had this vegan carrot and pumpkin bread in my arsenal. That would be cruel. 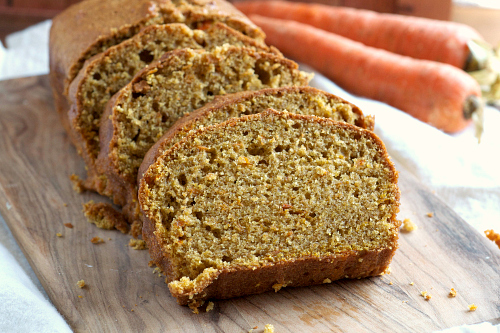 For the amazing quick bread recipe, grab it here on Chef Mom! 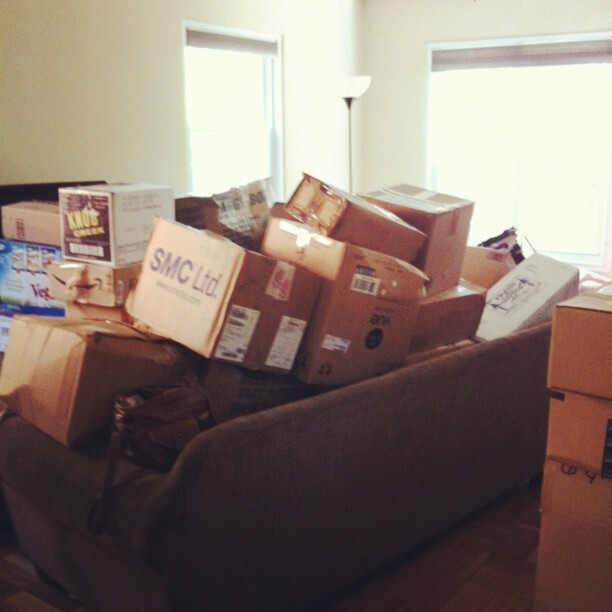 Unpacking is the worst! Hopefully you get all settled in soon! 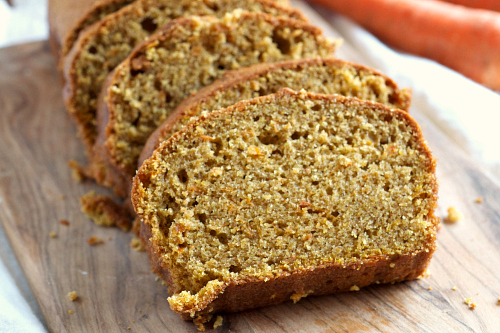 Now this pumpkin bread - love it! Never thought to add carrots - sounds like an amazing combo. Love the combo of pumpkin and carrot. Wonderful bread! Wow, I love this recipe. What sort of healthy spreads would you recommend putting on it? I'm trying to stay away from butter these days. I'd say maybe just some Earth Balance! Or just eat it on it's own, trust me, it's so good! The added honey in the pumpkin bread would make it non-vegan for some vegans- just FYI. Any other recommendations on a natural sweetener to make it all around vegan?